Do you picture simply natural or elaborate flowers? Subtle or striking? Minimalist? Tightly arranged? Are you thinking monochromatic, traditional (whites or pastels), multicolored, or modern (dark hues and bright citrus shades)? Do you dream of old school roses and lilies or new school berries, grasses, greens, and herbs? Flowers in matching shades or cool contrasts are breathtaking, but make sure they suit your wedding. Bring a bridesmaid dress fabric swatch when you meet with our floral designer (to illustrate your wedding colors). breathtaking, but make sure they suit your wedding. Bring a bridesmaid dress fabric swatch when you meet with your floral designer (to illustrate your wedding colors). Marrying in summer? Go for hardy flowers that won’t wilt, such as sunflowers, zinnias, dahlias, lilies, and hydrangeas. Avoid gardenias, lily of the valley, tulips, and wildflowers. Love the idea of luxe imported orchids or dreamy white peonies in the middle of February? Your florist may be able to find the flowers but be prepared to pay at least 25% more. Be sure your bouquets aren’t too heavy or too hard to carry. Some of the most fragrant flowers include freesia, lilies, lilacs, tuberoses, gardenias, and lilies of the valley. Be sure your bouquet isn’t too fragrant. If you’re tying the knot in a naturally flowering park or garden, you may not have to bring in many flowers or plants at all. And if you’re marrying around Christmas or Easter, your church may already be beautifully decked out with poinsettias or Easter lilies. 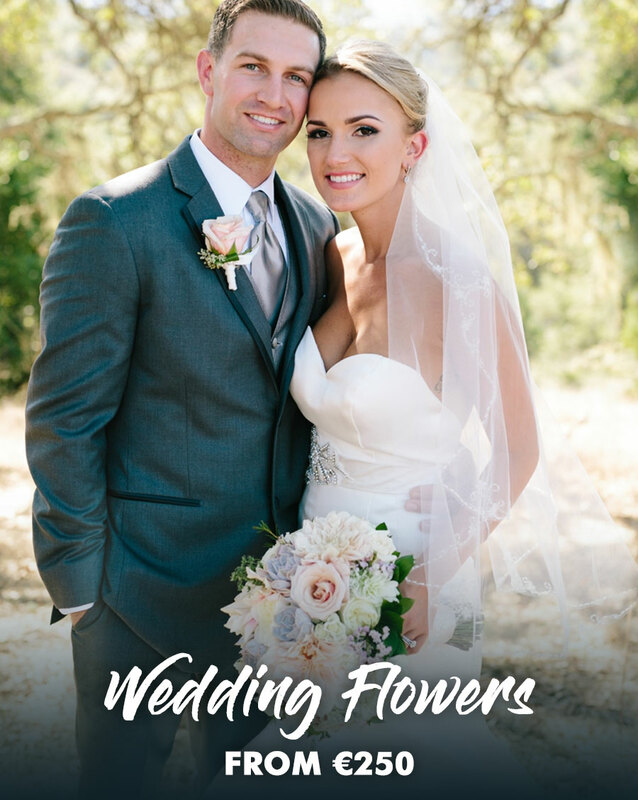 Once the bridal bouquet’s composition has been established, move on to other bouquets and boutonnieres, which should complement the bridal bouquet in style, flowers, and color. Coordinate delivery time of your bouquets, corsages, and boutonnieres with your photographer’s arrival — you’ll want them to be worn or held in formal pictures. Your flowers should arrive well misted and wrapped in cellophane. Examine each bouquet and remove any damaged blossoms. Once flowers are distributed, keep them out of heat and direct sunlight. You don’t have to toss the actual bridal bouquet — many brides have us create a smaller tossing bouquet for the traditional ritual. By your second meeting, your florist should have written up your exact proposal, itemizing the number of arrangements, the kinds of flowers to be used, and any set-up or clean-up fees. If you’re commissioning an elaborate display such as a floral huppah, topiaries, or themed arrangements, your florist should show you sketches or actual samples at this time. Now is also the time to finalize prices: If sample arrangements seem skimpy, consider allotting more of your budget to flowers or making other adjustments. Local, in-season flowers will guarantee freshness and affordability, so choose a couple of seasonal staples (orange blossoms, lavender, or tulips, for example) and use them as a base for bouquets, boutonnieres, and decorative arrangements. Incorporate them into huppahs, arches, or pew adornments, too. Use less expensive flowers and greens — such as baby’s breath, daisies, and ivy — to fill out bouquets and cut costs. Save money by carrying one or two large, stunning blooms, such as orchids, tulips, or sunflowers, tied with a gorgeous ribbon. Is the big day on or near Valentine’s Day or Mother’s Day? Expect high rates — rose prices in particular will be sky high. Our florists time and availability might also be an issue. Discuss any potential problems with us in advance. How much of your budget should you expect to pay for your flowers? First, remember that everything is relative — to the area where you will wed, to the season in which you will wed, to the length of your guest list, and so forth. To give you an idea, we’ve collected the percentages for a 150-person guest list and a 10-member bridal party.